We are overjoyed to announce that the fantastic BOOKWORM by Lucy Mangan has been shortlisted for the Beautiful Book category of the Books Are My Bag Readers Awards. Nominated alongside Mangan were BOOKWORM’s production team, Laura Barrett, who designed the gorgeous cover, Shabana Cho and Julia Connolly. 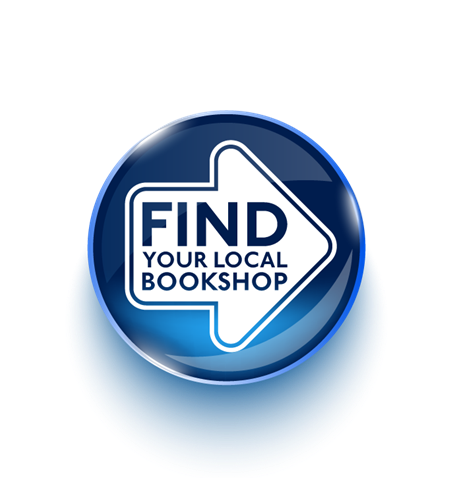 Unlike the other categories though, the Beautiful Book is voted for exclusively by booksellers, who will now be choosing a winner from the shortlist of six titles revealed today. The winners will be announced on 13 November at an awards ceremony at Foyles. BOOKWORM is a love letter to the joys of childhood reading; it will offer a witty, impassioned history of the childhood stories we loved and the extraordinary people who created them; it will also explore the thousand subtle ways these books shape our own lives - the bonds we form, the rites of passage we undergo, the understanding we gain. It will begin as we all do, with picture books such as The Very Hungry Caterpillar, leading us through secret gardens, along railway lines and across prairies, right up to a shared coming of age with Judy Blume, Patrick Ness and Philip Pullman. Lucy Mangan is a columnist for Guardian Weekend magazine and Stylist, and author of MY FAMILY AND OTHER ANIMALS, THE RELUCTANT BRIDE and HOPSCOTCH AND HANDBAGS. Lucy Mangan’s brilliant fictional account of life in the suburbs, DIARY OF A SUBURBAN LADY, has been snapped up by Profile Books. Rebecca Gray, Associate Publisher at Profile, has acquired UK & Commonwealth Rights from Juliet Pickering at Blake Friedmann and Louise Lamont at LBA. Profile will publish DIARY OF A SUBURBAN LADY in Autumn 2019. Lucy Mangan says: I’m thrilled to be publishing this book with Profile and to have Rebecca by my side as I venture into fiction for the first time, with this modern take on THE DIARY OF A PROVINCIAL LADY (E M Delafield’s dry-witted classic of family life and other vexations). I intend to neglect my own family entirely as I get to work on DIARY OF A SUBURBAN LADY, which I hope will be a comic journey through the vicissitudes of modern domestic and professional life that will go well with a double gin and tonic at the end of the day. Lucy will be attending the Derby Book Festival in June to discuss her memoir on childhood reading, BOOKWORM, which was published by Square Peg in March 2018. Lucy Mangan is a journalist and a writer for the Guardian. She has written for most major women’s magazines, including Grazia, Marie Claire and Cosmopolitan, and has a weekly column in Stylist magazine. She was named Columnist of the Year at PPA Awards in 2013. Her works include MY FAMILY AND OTHER DISASTERS, HOPSCOTCH AND HANDBAGS: The Essential Guide to Being a Girl, and THE RELUCTANT BRIDE. A commemoration of 50 years of Roald Dahl's CHARLIE AND THE CHOCOLATE FACTORY, INSIDE CHARLIE'S CHOCOLATE FACTORY was published by Puffin UK/US in 2014. 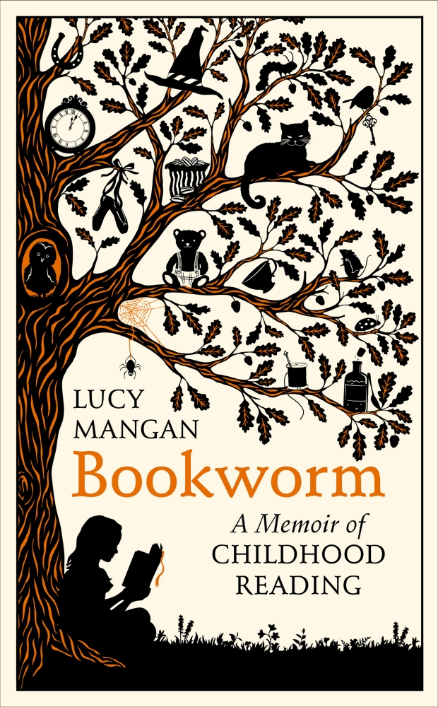 An enchanting memoir on childhood reading, BOOKWORM by Lucy Mangan, is published in hardback and ebook today by Square Peg. Lucy revisits childhood favourites in this immersive read, reflecting on what these stories meant as a young reader, and how these meanings have changed over time. Jacqueline Wilson has praised BOOKWORM as ‘passionate, witty, informed, and gloriously opinionated'. She was whisked away to Narnia, Kirrin Island, and Wonderland. She ventured down rabbit holes and womble burrows into midnight gardens and chocolate factories. She wandered the countryside with Milly-Molly-Mandy, and played by the tracks with the Railway Children. With CHARLOTTE’S WEB she discovered Death and with Judy Blume it was Boys. No wonder she only left the house for her weekly trip to the library or to spend her pocket money on amassing her own at home. In BOOKWORM, Lucy revisits her childhood reading with wit, love and gratitude. She relives our best-loved books, their extraordinary creators, and looks at the thousand subtle ways they shape our lives. She also disinters a few forgotten treasures to inspire the next generation of bookworms and set them on their way. Bringing the favourite characters of our collective childhoods back to life – prompting endless re-readings, rediscoveries, and, inevitably, fierce debate – Lucy brilliantly uses them to tell her own story, that of a born, and unrepentant, bookworm. The beautifully illustrated book, I KNOW A WOMAN by Kate Hodges, is published today by Quarto Books. A celebration of the world’s most influential and inspiring women, from artists to musicians to political activists, I KNOW A WOMAN reveals the unexpected connections that link them. The book contains a thoughtful foreword by author Lucy Mangan, and vibrant illustrations by Sarah Papworth. Behind every great woman… is another great woman. Here, the extraordinary achievements, relationships and secret histories of 84 pioneering women are revealed in inspirational stories which together show the indomitable strength of womankind. From ground-breaking scientist Marie Curie to political activist Malala Yousafzai, from feminist author Virginia Woolf to the game-changing Billie Jean King; I KNOW A WOMAN creates a gigantic web of womanhood which celebrates the relationships between the world’s most inspirational and influential women. Threading tales from across the globe and throughout history, the lives of innovative aviatrixes, gun-toting revolutionaries and women with incomparable intellects are revealed. Kate Hodges graduated from the University of Westminster with a BA in Print Journalism. She has over 20 years writing experience on magazines, having been a staffer on publications including The Face, Bizarre, Just Seventeen, Smash Hits and Sky, and written for many more, including The Guardian, The Sunday Express, Kerrang! and NME. She has also worked for Rapido TV, makers of the cult show Eurotrash, luxury brand marketing company Noir Luxe, and P For Production films. Her first book, Little London, a guide to free and cheap, family-friendly things to do in the capital, was published in 2014. London in an Hour and Rural London came out in 2016.